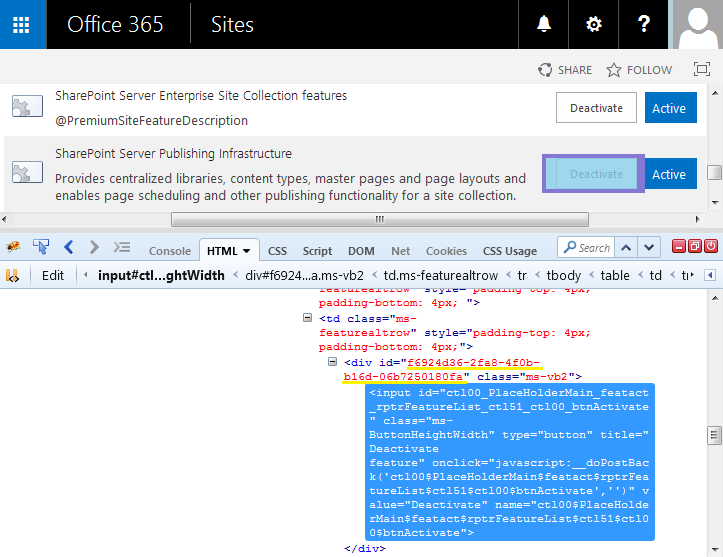 Home Features SharePoint SharePoint 2013 SharePoint 2016 How to Find a Feature ID in SharePoint using IE Developer Tools/Firebug? 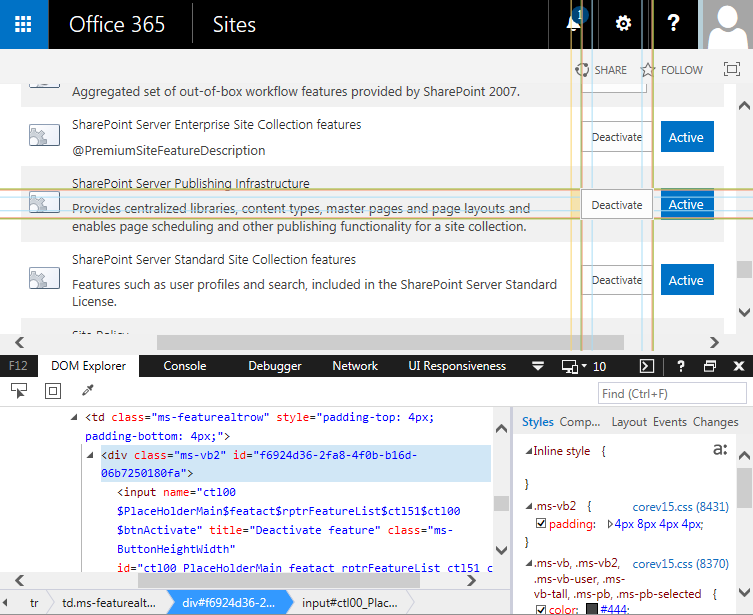 How to Find a Feature ID in SharePoint using IE Developer Tools/Firebug? Requirement: Need to get Feature ID of a particular feature to activate it programmatically. Press F12 key to activate IE developer Tools or Firebug console in Firefox. With the select element - cursor tool from these debuggers, Locate "Deactivate" button of your target feature. Look at the code, You'll get the Feature ID from the DIV surrounding Input button element. You should get the Feature ID from the "DIV ID" just above "Deactivate" button. Once you get feature ID, You can activate/deactivate it programmatically or with PowerShell.